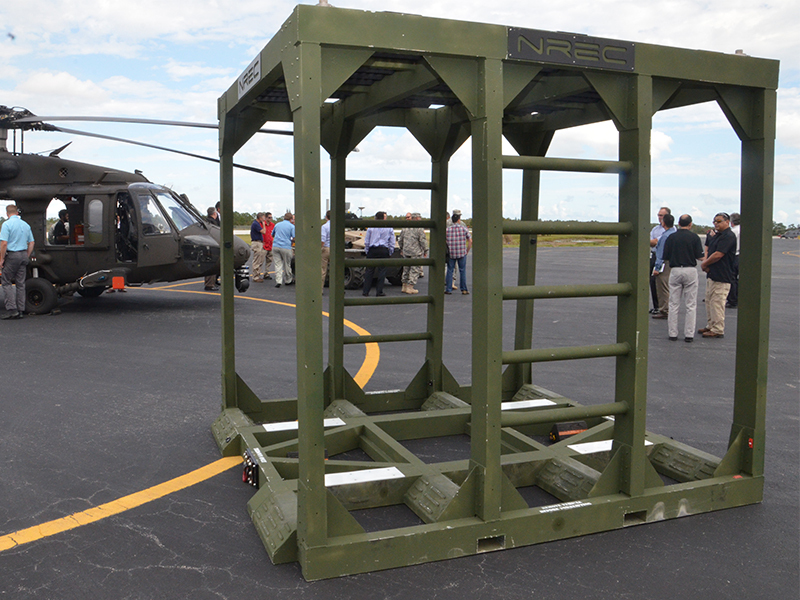 The Extending the Reach of the Warfighter through Robotics project demonstrated that an unmanned helicopter and a driverless ground vehicle could work together to autonomously survey a contaminated site. 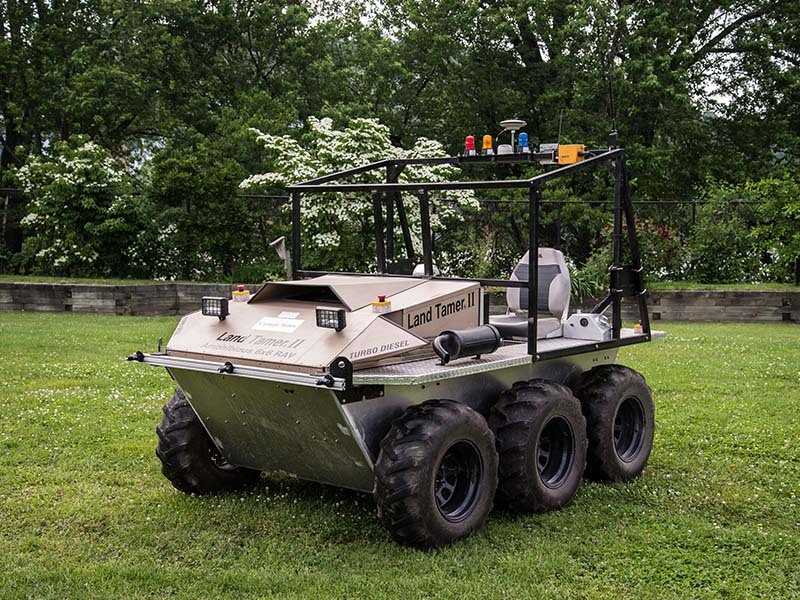 For this program, NREC modified a Land Tamer all-terrain vehicle with an autonomous driving system that uses technology from previous projects that have supported unmanned on-road and off-road exploration, including NREC’s Crusher off-road vehicle and the Boss SUV that was CMU’s winning entry in the 2007 Urban Challenge road race. The autonomous Land Tamer featured sensing that allows it to operate day and night under all visibility conditions and across a variety of terrains. 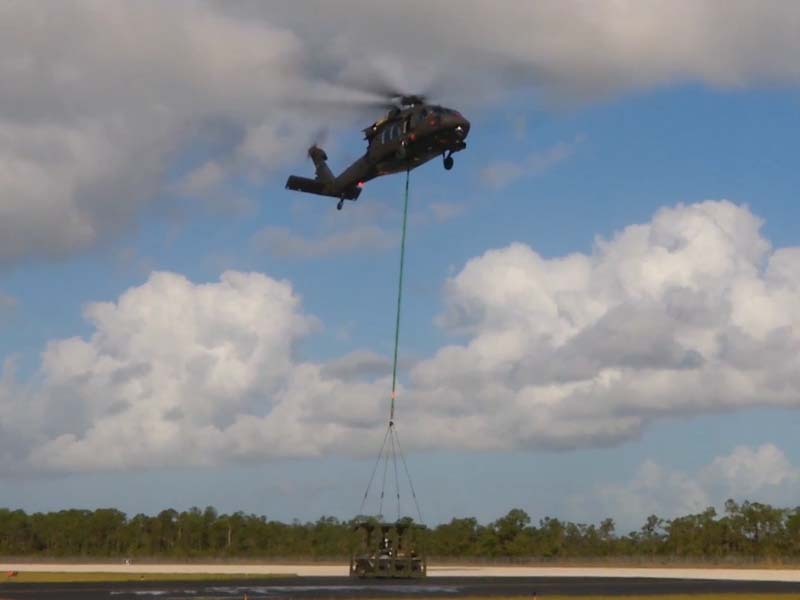 To provide the autonomous delivery vehicle Sikorsky Aircraft modified a UH-60MU Black Hawk helicopter that can fly at speeds greater than 138 mph with an 8000-pound load slung beneath it. This helicopter was modified with prototype “fly-by-wire configuration” and the Sikorsky autonomy kit, MATRIX, to deliver the UAV capabilities the program required. These technologies were then utilized in conjunction to provide a joint autonomy demonstration that proved the capability of new, ground-air cooperative missions. This program was funded by the U.S. Army Tank Automotive Research, Development and Engineering Center (TARDEC) through the Robotics Technology Consortium.